La superba costruzione di questi diffusori, grazie alla componentistica d’eccellenza, permette un coinvolgimento emotivo molto forte durante l’ascolto, oltre a regalare un’accuratezza timbrica di altissimo livello. L’estetica, le finiture e la solidità del cabinet sono di prim’ordine. 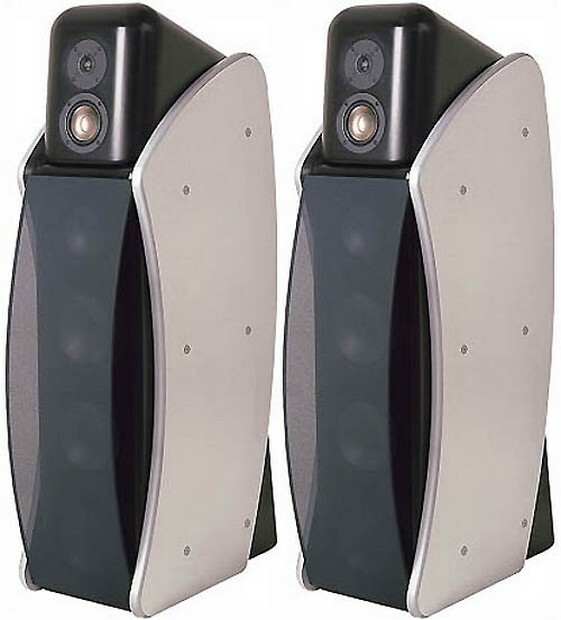 Description: Four-way, floor-standing loudspeaker with rear-facing reflex port and tweeter. Drive-units: 1.1″ (28mm) aluminum-alloy dome tweeter, 0.75″ rear tweeter, 4″ (102mm) titanium-dome midrange driver, 6.5″ (185mm) midbass transducer, three 8″ (210mm) woofers. Crossover frequencies: 125Hz, 450Hz, 2.2kHz; 8kHz for rear tweeter. Rear-panel level controls: front and rear tweeters, low-frequency compensation. Frequency response: in-room response, 25Hz-12kHz, ±1dB; first-reflections response, 25Hz-17kHz, ±1dB; listening window (on-axis) response: 24Hz-18kHz, ±1.5dB; in-room response relative to target response, 25Hz-20kHz, ±0.75dB; low-frequency extension, -3dB at 24Hz. 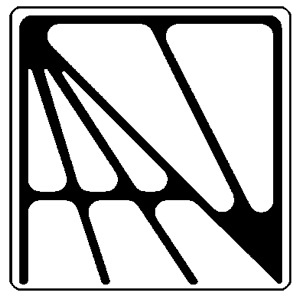 Nominal impedance: 6 ohms, 3 ohms minimum. Dimensions: 5015/16″ (1294mm) H by 131/2″ (342.9mm) W by 299/16″ (674.7mm) D. Spikes add 1.5″ (38mm) to height. Weight: 240 lbs (108.9kg) each. Finishes: High-gloss: Heather Gray, Midnight Blue, Piano Black, Forest Green, Revel Red; also matte black. Side panels: rosewood, light oak, black ash, aluminum, unfinished. I estimated the Revel Salon’s B-weighted sensitivity as 87dB/2.83V/m, a mite higher than the specification. 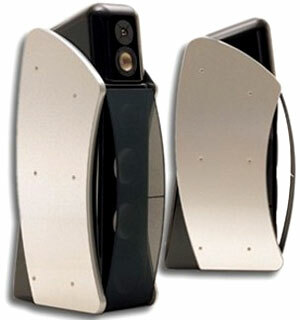 However, the Salon is basically a 4 ohm loudspeaker, drawing 2W from the amplifier to achieve its sensitivity rating. Its impedance also varies depending on whether or not the rear tweeter is on or off, and on the settings of the three tone-control switches. Fig.1 shows the worst-case impedance: with the rear tweeter on, the boundary compensation set to “-,” and the front tweeter to “+1.” Even so, the magnitude doesn’t drop significantly below 4 ohms and the electrical phase angle is moderate. 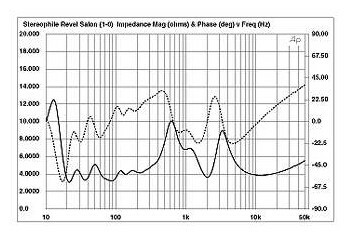 Fig.1 Revel Salon, electrical impedance (solid) and phase (dashed) with rear tweeter on, front tweeter at “+1,” and low-frequency compensation at “-” (2 ohms/vertical div.). No wrinkles can be seen in these impedance traces, other than at a very high 34kHz, which I assume is due to the tweeter’s ultrasonic “oil-can” breakup mode. This suggests that the Salon’s cabinet is well braced and damped. Fig.2 shows a cumulative spectral-decay plot calculated from the output of a simple plastic-tape accelerometer fastened to the center of a side panel, roughly level with the upper woofer. A couple of modes can be seen in the 300Hz region, but these are well down in level. 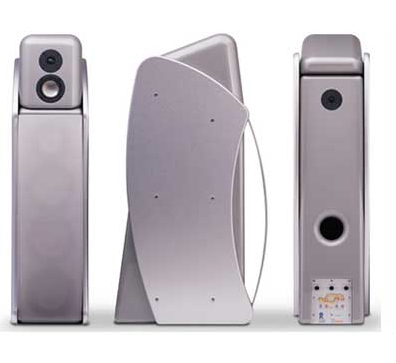 As parts of a four-way design, the Salon’s drive-units need cover only relatively restricted ranges. Fig.3 shows the responses, measured in the nearfield, of the lower-frequency drive-units and the port. 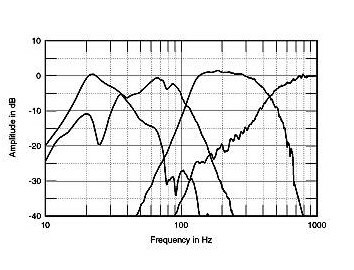 The port’s bandpass output is centered on the tuning frequency of 24Hz, and its upper range is commendably free from pipe resonances. 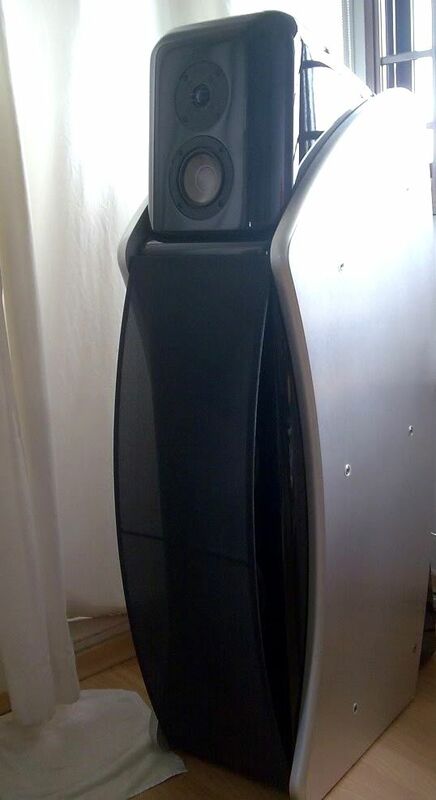 The three woofers appear to have a rather uneven output in the midbass, but this may well be a measurement artifact. 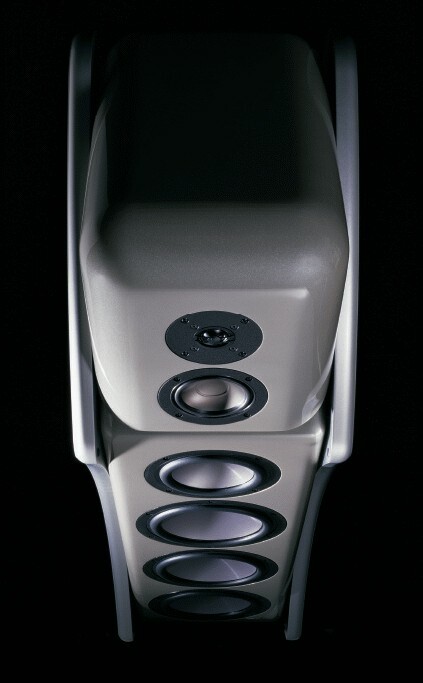 They roll off steeply above the 125Hz crossover frequency to the upper woofer, which in turn crosses over to the midrange unit two octaves higher, at 450Hz. 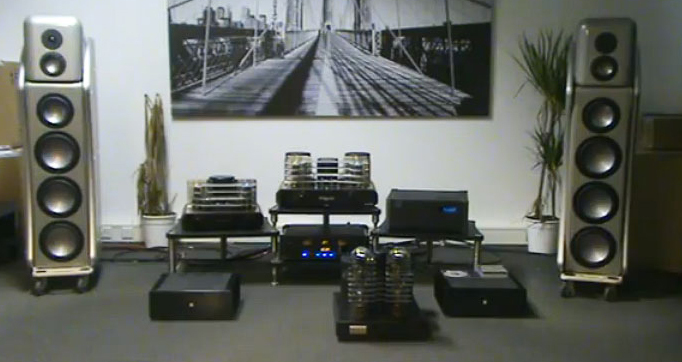 Fig.3 Revel Salon, individual nearfield responses of (from left to right): port, three lower woofers, upper woofer, midrange unit. The respective levels are plotted in the ratio of the square roots of the radiating areas.